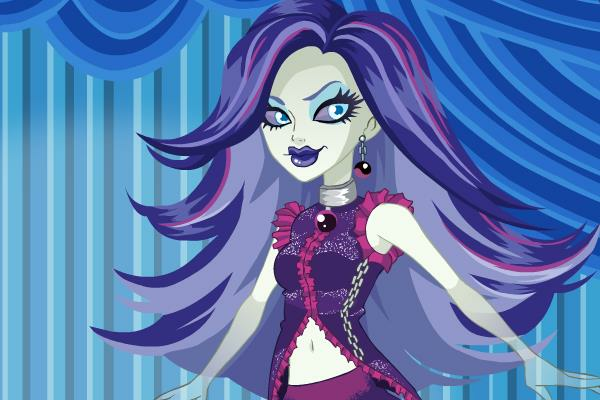 Monster High Dress Up Game. Spectra Vondergeist is 16 years old. Her parents are the Ghosts. She has a pet called Rhuen and her favorite color is violet. Did you know that Spectra may be related to Jacob Marley's ghost from A Christmas Carol by Charles Dickens and that in Where There's a Wolf, There's a Way, Spectra expressed interest in Billy Phaidin and in Back and Deader Than Ever, they started to date.